In 1999, a small group of naturopaths met for dinner. It was a part of their regular monthly visits where they would compare notes on how their practices were going, new developments, medicines they were testing, new techniques, and the like. The practitioners were passionate about their adopted home of British Columbia and about sharing the benefits of naturopathy. They yearned to start a program on Canada’s West Coast that would elevate the notion that true, lasting health was dependent on the harmony of mind, body, and spirit. That dinner conversation would later be recognized as the beginning of the Boucher Institute, and those doctors, its founding members. Founded on the principles of inclusion, integration, integrity, respect, academic freedom, self-responsibility and innovation, the Boucher Institute would educate a different kind of physician. One who commits themselves to the ongoing practice of self-reflection and personal growth, one who harbours a passionate belief in the efficacy of Naturopathic Medicine and who is deeply committed to leading our world toward a more sustainable healthcare system. Named for the late Dr. Joseph Boucher, one of the founders of the National University of Naturopathic Medicine (NUNM) in Portland, Oregon and a pioneer in the profession, the Boucher Institute welcomed its founding class of 15 students in January, 2000. By 2005, the Boucher Naturopathic Medical Clinic had opened its doors to treat the community at large and to act as a practical learning centre for Boucher’s student body. 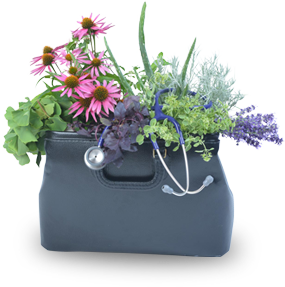 The Boucher Institute offers a rigorous four-year program that culminates in the Doctor of Naturopathic Medicine (ND) designation. The Institute favors the cohort model of education in order to guarantee small class sizes, familiarity amongst students and staff, personal growth and access to our rich resource collection. 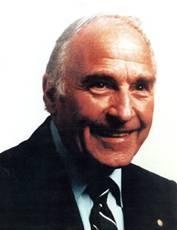 Dr. Joseph “Joe” Boucher was a well loved naturopathic physician who lived and practiced in the Lower Mainland of British Columbia where he taught and served for years as President and Secretary of NUNM’s Board of Trustees. Dr. Boucher also served as President of the Association of Naturopathic Physicians of BC, and was Secretary for many years. He was a paragon of health and fitness. His practice was truly holistic, blending psychology with natural medicines and exercise. His example is one we hope all of our students will aspire to. While Joe did not live to see this school’s inception, his legacy lives on in the excellence and dedication of our students and graduates.